Indie rock heroes The National have always understood the value of an artistic video. This understanding stems from a familiarity if not fluency in the language of cinema. In short, The National are no strangers to the film craft, although they may be mistaken for strangers. Tom Berninger--the brother of National frontman Matt Berninger--directed a documentary film about the band called “Mistaken for Strangers.” The film is a meta look at Tom and The National as he joins them on their 2010 tour and aspires to make a film about the band. The doc--which premiered at the Tribeca Film Festival in 2013--also comments on brotherly connections as the The National are literally a band of brothers, consisting of Aaron and Bryce Dessner and Bryan and Scott Devendorf along with Matt Berninger. Matt Berninger produced the film along with his wife Carin Besser, who is also a filmmaker. The National’s connections to the cinematic world are myriad--the group will release a short Mike Mills-directed film around their 2019 album I Am Easy to Find--and so it’s no wonder many of their music videos scan like art house flicks. Here at AXS we thought we would take a look at their five best. Here they are. 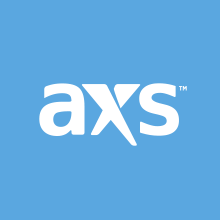 Click here to browse AXS for tickets to select The National tour dates. “Lit Up” is from The National’s 2005 album Alligator. The visual--filmed and edited by Vincent Moon--features some old-timey 8mm film of the band swimming in a lake and frolicing in the woods (there’s a sequence of Matt Berninger crawling out of the lake that almost looks like the famous Patterson-Gimlin Bigfoot footage). There’s also some great shots of the band rocking a festival. It’s like a National home video, capturing the heady, early days of the band. Check it out above. From The National’s 2013 album Trouble Will Find Me, the visual for “Demons” is a black and white mirror time lapse of an artist, Azar Kazimir, creating a piece in chalk at the Michelberger Hotel in Berlin. The video follows Kazimir as he creates the piece, then runs backwards and the work vanishes before your eyes. How does it connect to the song? Well, as with most National songs and videos, the interpretations are endless and subjective. But maybe it is symbolic of the fact that many artists have “demons” and that those demons can either inspire or destroy the artistic process. But you be the judge. Check it out above. 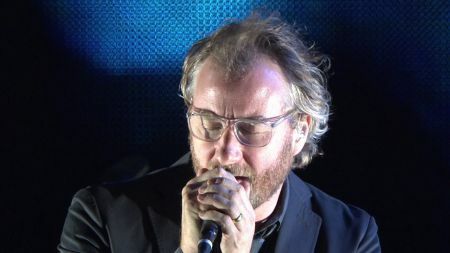 Although the song is off of The National’s 2010 album High Violet, the video fro “Conversation 16” came out in March of 2011. The visual stars a number of people you might recognize including Kristen Schaal (Flight of the Conchords), John Slattery (Mad Men), James Urbaniak (Legally Blonde 2) and The National. Directed by Scott Jacobson (The Daily Show, Bob’s Burgers), the video follows Schaal as the President of the United States and a secret service agent, Slattery, who clearly has feelings for her. But much to the agent’s dismay, the president has another suitor: a blustery Russian leader. Interestingly, the video for “Conversation 16” is more relevant today then it was in 2011. Check it out above. From a cinematic standpoint, this is probably The National’s best video with Matt Berninger as the centerpiece. Berninger’s wife Carin Besser co-directed the video along with Hope Hall and Andreas Burgess. The song--the lead single from High Violet--is a forlorn and sometimes surreal lament. That feeling perfectly captured by the visual, which sees a smartly but slightly disheveled Berninger drinking and wandering around New York City in black and white. It’s reminiscent of the iconic Ringo sequence in The Beatles’ “Hard Days Night.” The video also features a cameo from renowned music documentary filmmaker D.A. Pennebaker. The visual for “Graceless”--off of Trouble Will find Me--is just a fun, well-conceived video featuring the entire band. Grace carries the definition “simple elegance or refinement of movement.” The National exhibit none of those things as they embrace their inner rockstars, horsing around in a pool or flying recklessly down a slip n slide all while chugging and shotgunning beers. They even play a little game of baseball, cranking shook up beers out into the yard. Graceless. Check it out above.